Test your 80s trivia knowledge on this jaw-dropping musical game show from 1984. I’m totally on team Kim Wilde and Morrissey. Other panelists include members of Kajagoogoo and Simple Minds. The premise is pretty simple: play song bits, videos and song lyrics and then try to guess the artist and/or song. 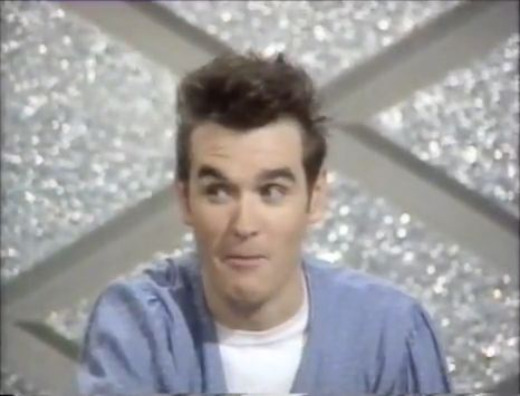 Morrissey seemed to get a break since he got questions about Echo and the Bunnyman and Nancy Sinatra (and Phil Collins?!). Great classic 80s snipplets make it worth checking out even though the sound volume is kinda low. Then: It is hard to imagine that it was 30 years ago that a song would be released that would forever change my musical landscape. That song was Kids In America, and the artist is Kim Wilde. I remember watching MTV for the first time at my grandparents house and being completely mesmorized by the video, the synthesizers and of her. I had to have the single, then album, then consequent albums and singles. I joined the fan club, sought out and discovered other electronic bands and realized that Britain had all the good music. After Kids In America, Kim Wilde did not do so well in America until 1987 when her remake of the Supremes, You Keep Me Hanging On, concquered the American charts, climbing all the way to Number 1. She had a couple of near top 40 misses(Say You Really Want Me and You Came), before disappearing forever from American ears. Her success in the UK also began to decline, and with the exception of the occassional moderate hit, wasn’t able to keep the momentum she had built with her hugely successful album, Close. Now: In 2003, Kim Wilde contributed vocals to the Nena track, Anyplace, Anywhere, Anytime, which became a huge hit in Germany as well as some other European countries. This eventually led to a recording contract in Germany where she released an updated version of You Came and new song, Perfect Girl, which were well-received. Now she is back with a new album and lead single, Lights Down Low, returns her to her rockin’ dance years, particularly, Can’t Get Enough (Of Your Love) and Never Trust A Stranger. Remix reinterpretations of an artist’s catalogue can be a mixed bag. Usually, the mixes are thrown together, the motive being the record label looking to cash in on former glory as was infamously the case of Talk Talk, who sued when their songs were recycled without their consent. Sometimes, however, the result is special, as in Casino Classics, which breathed new life in the pop brilliance of Saint Etienne. It’s now Depeche Mode‘s turn who are about to release reMixes 2: 81-11. The roster of contributing remixers is impressive: M83, Eric Prydz, Jacques Lu Cont, Digitalism and UNKLE. Here is the remix by one of my favorite artists, Røyksopp, and their take on their 1981 track, Puppets, from Speak & Spell. 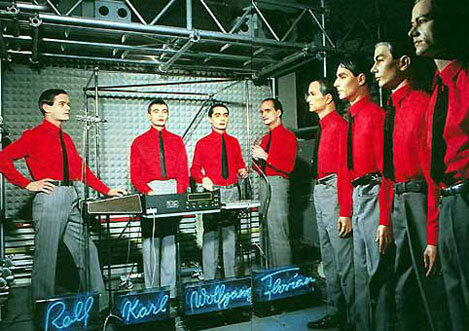 Not suprisingly, the Kraftwerk sitcom comedy hour was never picked up. Watch the classic pilot episode, Ralf and Florian. The name of the show is derived from a 1973 album of the same name which has to this day never been released on CD. The show is very avante-garde late 70s, early 80’s, similar in style to the Andy Warhol Show on MTV, Liquid Sky and New Wave Theatre on Nightflight. The show is fascinating to watch in much the same way as watching a car crash on the freeway. My favorite bit begins at around the 2:30 mark where out of nowhere they start dancing to The Hustle. 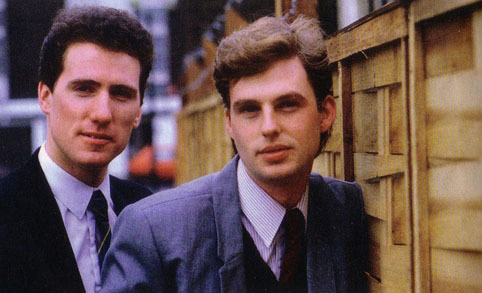 Then: The story of OMD is sadly, a familiar one. Although OMD have enjoyed commercial success in the UK since 1980, in the US, like many quality UK electronic acts from the decade, OMD’s prominence in American culture began and ended with one hit single, 1986’s, If You Leave. It was this song that defined the teenage angst of the x- generation from its inclusion in the seminal John Hughes movie classic, “Pretty In Pink.” Whereas the US audience finally took notice, a backlash began in the UK as fans dismissed their new sound for being “watered-down”. This new found success in the US was fleeting, however, and although they a spattering of other minor hits, they never recaptured their orignal glory. The price for this new commercial sound, however would have disasterous consequences in the UK. Fans dismissed what they felt was a betrayal of their roots and in 1996, OMD called it a day. Now: Everything changed, however, last year, when the now classic BBC documentary Synth Britannia, which recognized the band as true pioneers of electronic music. Buzz formed and last year, after a nearly 15 year hiatus, OMD reformed and released the critical successful, History Of Modern. Our story begins as a young teenager who has yet to realise that the alienation he feels yet can’t explain would be understood once he came out, and who is fascinated by all things new wave (and perhaps slightly unhealthy addiction to Rock Over London), purchases a cassette that would forever change his life. 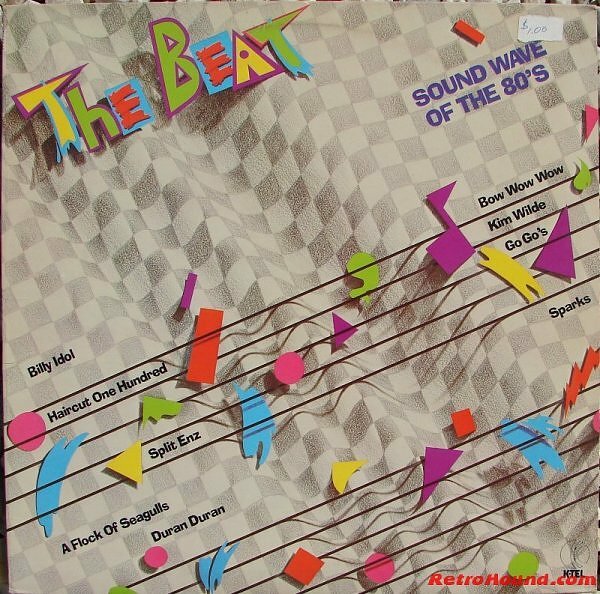 Ironically it would be from the ultimate uncool label K-Tel (“As Seen On TV”) and called, “The Beat”. Never has an album contained such a roster of yet to be established musicians who would later define the new wave and synthpop genres. Artists like Depeche Mode, OMD, Duran Duran, Kim Wilde, Thompson Twins, Go Go’s and Split Enz. This cassette contained their very first recordings, way before they filled stadiums and became household names (at least to alienated youth throughout the USA). Not a dud on the entire cassette (well, except for Graham Parker, but I digress). I immediately fell in love with the OMD track, Joan Of Ark and followed their career religiously which culminated in seeing them live in the US in 1985. The venue was small since this was Syracuse, New York, a town on the forefront of absolutely nothing. It was also at an underage dance club; their target audience were teenagers who knew them from their song, “If You Leave”, a massive teenage anthem, which reached mass appeal after it was included on the soundtrack to the John Hughes film, “Pretty In Pink”. They played an amazing set of synthpop bliss. Afterwards they signed autographs and were very gracious to me as a bent over and had them sign a tour t-shirt I had just purchased. Never had a band been so accessible, and it is still a fond memory I hold to this day. Now where is that shirt?! A new feature of my blog that looks at a band I loved from the past and we catch up with them to see what they have been doing now. 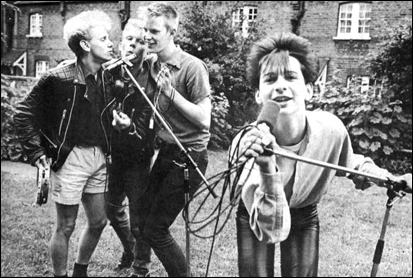 Propaganda burst onto the scene in 1985 with the album “A Secret Wish” that contained the synthpop classics P:Machinery and Duel, but just as they were reaching critical acclaim, problems with their record label caused lead singer Claudia Brücken to leave the band a year later and they never recaptured their orignial glory. Lead singer Claudi Brucken is back, although releasing solo material throughout the years, she is finally releasing her debut album. Lead single, “Thank You” has a James Bond theme feel to it with touches of Trent Reznor. What do you think? You are currently browsing the archives for the 80s category.